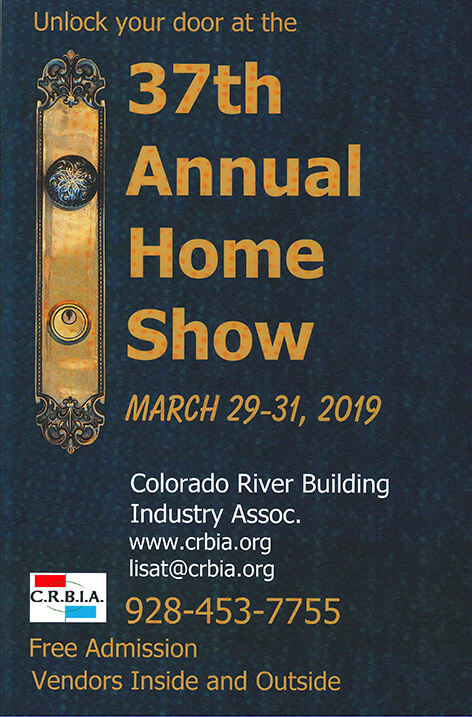 Air Control Home Services is pleased to announce that we will be attending the 37th Annual Home Show put on by the Colorado River Building Industry Association. The event will take place this weekend, from March 29 to March 31 at the Lake Havasu City Aquatic Center. The Annual Home Show is one of the biggest events in the area. It features vendors showcasing state-of-the-art products for indoor and outdoor use, including furnishings, artwork, flooring, insulation, HVAC, security systems, windows, doors, and much more! We are excited to reattend this awesome event and we hope to see you there! For more information about the 37th Annual Home Show, please visit their website. Posted in Announcement | Comments Off on We’re Going to the Annual Home Show!